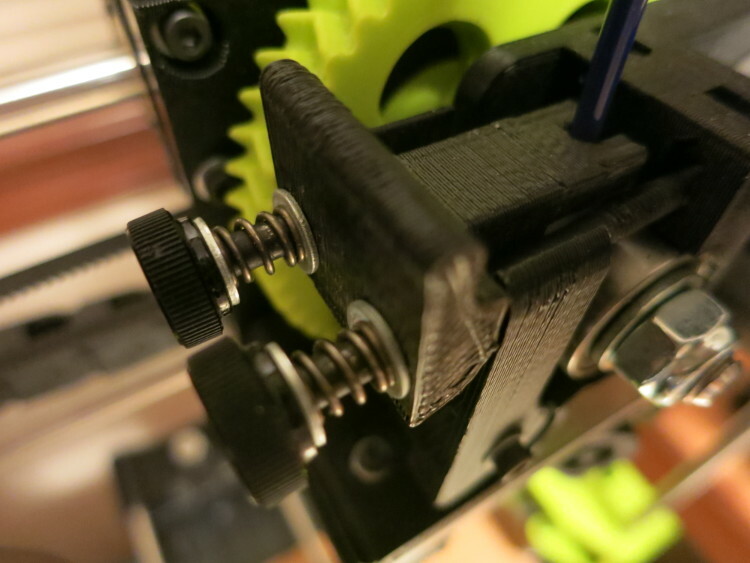 I used to think that 3D Printer extruder tension – how much pressure the extruder hobbed gear exerts on the filament to move it forward – was a pretty forgiving thing. At one extreme, there’s “so loose the filament doesn’t feed” and on the other, there’s “so tight the extruder motor binds”. I thought everything in between was ok.
My assumption was confirmed each time I read advice on how to tune a misbehaving printer: people rarely mentioned extruder tension. My recent fight to fix a bad print taught me that incorrect extruder tension can make a huge difference in your print quality after all.